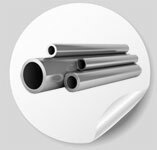 ASTM A789 specification covers grades of average wall thickness, or, if specified on the order, minimum wall thickness, of ASTM A789 stainless steel tubing for services requiring general corrosion resistance, with particular emphasis on resistance to stress corrosion cracking. These ASTM A789 duplex tubes are susceptible to embrittlement if used for prolonged periods at elevated temperatures. SAE J1086 Practice for Numbering Metals and Alloys (UNS). ASTM A789 / A789M-17a, Standard Specification for Seamless and Welded Ferritic/Austenitic Stainless Steel Tubing for General Service.